I couldn’t show the return on investment. I was supposed to make a difference, but I didn’t. And now, all I can do is reflect on what I could have done differently. I should have been clear about the business goal, not the training goal. I should have talked to the goal owners first, so that every decision, action, and intention was aligned to the business goal. I should have made the connection between learning outcomes driving employee performance and employee performance driving business results. I should have engaged stakeholders in discussion about learning and development being part of the solution, but not the solution. I could have shown how to isolate the impact of learning and development to appropriately determine the “piece of the pie” that learning and development owned in achieving the goal. I could have reinforced the idea that training is not a silver bullet and that achieving goals is a team sport; but I was focused on "training." I don’t know if we selected the right solution. Maybe classroom and PowerPoint was not the best choice, but it was "training." I could have considered other solutions like social learning or a self-paced simulation with features for practice, feedback, and repeatable use for ongoing learning and performance support. Maybe I should have considered a video channel that captured thought leadership and examples of best practice. I didn’t consider any of these options, and now I regret it. I should have had a plan for collecting evidence and data demonstrating learning's impact on goals and performance. I should have investigated efficiency, effectiveness, and outcomes. All I had was a PowerPoint presentation for how many courses we offered, how many people completed training, and results from a post-training survey that showed people liked the instructor, the classroom building, and the food. I had no proof that “training” changed anything. I was focused on training; I should have focused on a learning and development solution aligned to the business strategy with measurable impact on goals and performance. I should have focused on showing learning's impact with facts. Now, I know that learning and training are not created equal. This is a story not about me, but one I hope my learning and development colleagues never have to tell about themselves. Examine the facts you need to collect before training starts. Identify measures that estimate performance impact. Explain data that shows impact for training and learning. Discuss how to collect data that measures training and learning's impact on behavior, performance, and goals. Kevin M. Yates is a learning and development detective-just like Sherlock Holmes, he solves mysteries. The mystery he solves is, "Did training work?" He uses facts, evidence, and data to show training and learning's impact on behavior, performance, and goals. His work is global and multi-industry. He's served in a variety of roles across training, learning, and talent development, which guides and informs his perspective and actions. Thanks for the piece, Kevin. It is truly inspiring. Thank you for reading Matteo and for your feedback. This has helped me tremendously as I look to build a program in a new role. Thank you for sharing with such honesty. 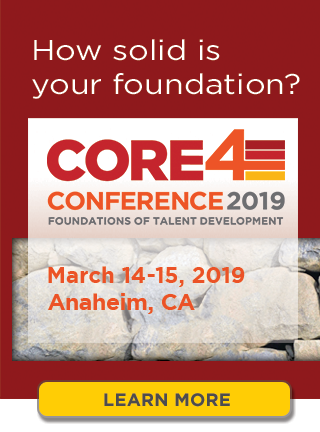 While I will not be able to participate in the Core 4 conference, I will be looking for other opportunities to learn more on this topic. Hello Cherita. I am happy you found the article helpful. YES! This is the heart of a focus on performance/value added instead of the activity of "training." I've had similar conversations with business partners over recent years and the tide is slowly turning to get them out of the "it's a training issue" mantra. Thank you, Kevin! Hello Shari. Thank you for reading and yes, we have to focus on performance, not activity.